The Springfield Museums present In Bloom: Floral Works from the Collection, April 4–September 1, 2019, in the Starr Gallery of the D’Amour Museum of Fine Arts. Acting Curator of Art Maggie North could have filled many, many galleries with works that include flowers—after all, what could be more appealing to an artist than the variety of textures, shapes, colors, coded messages, and potential designs that flowers offer? She considered carefully how to present floral works in a way that would pique curiosity, prompt discussion, and help viewers better understand the art. She decided to explore both how science and art complement each other and how eastern and western methods influence each other. “I’m excited to discuss the artistic study of flowers and the way in which it overlaps with scientific interest in flowering plants,” North said. We decided to pose some questions to North to help us all better understand what we might expect at this special exhibit. In Bloom complements the popular Festival of Flowers, which runs April 4-April 7 and includes floral arrangements that interpret pieces in the Museums’ galleries. 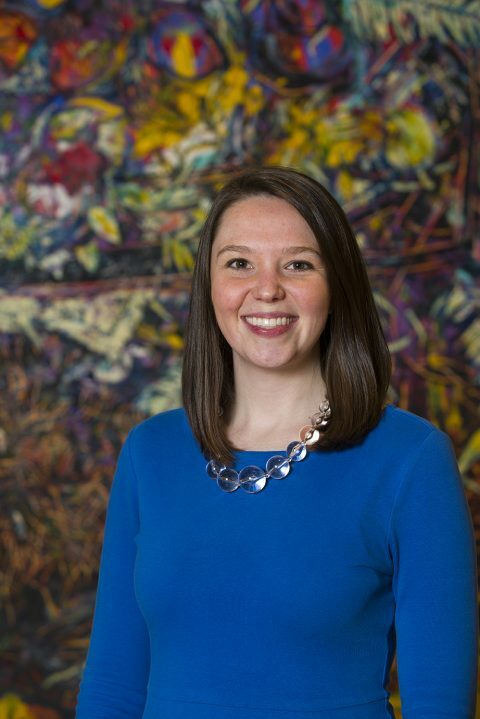 An interview with Maggie North, Acting Curator of Art for the Springfield Museums. Flowers have inspired and fascinated artists for hundreds of years. The collection at the D’Amour Museum of Fine Arts includes numerous floral works, especially works on paper, which are on view infrequently. Moreover, the Springfield Science Museum includes an outstanding collection of botanical sheets that were collected and cataloged by Luman Andrews around the turn of the 20th century as well as other objects relating to the natural history of flowering plants. This exhibition is an opportunity to show how artists, especially printmakers, studied the flowers that they depicted with a nearly scientific approach to observation, and discuss the overlap between scientific and artistic study of plants in the 19th and 20th centuries. Additionally, this exhibition will allow the museum to introduce visitors to works that were previously in storage. Plus after our long winter, we all want to celebrate spring! What particularly notable art is represented? 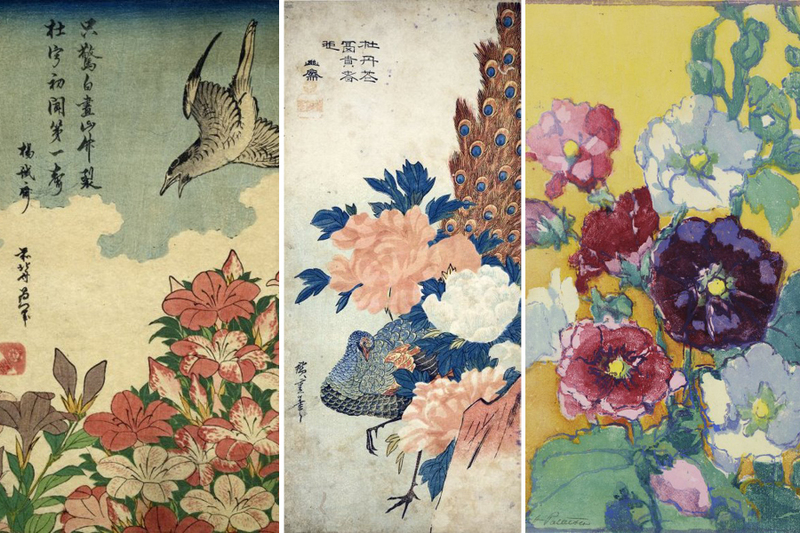 Works on view by the famous Japanese printmaker Ando Hiroshige are simply stunning, especially Peacock and Peonies. What will surprise us about this exhibit? Visitors to this exhibition may be surprised by the cross section of eastern art and western art that is represented in this show. The woodblock print, which originated in ancient China, was also used widely in Japan, first for reproducing text then for creating artwork. Beginning in the 18th century, ukiyo-e woodblock prints created for popular distribution, continued in the long Chinese and Japanese tradition of depicting birds and flowers in art. By this time, Japanese artists had also been introduced to the western mode of observing and cataloging nature via contact with Dutch merchants. For example, the Japanese artist Maruyama Okyo (1752-1811) sought to bring Japanese and western styles together in order to communicate both artistic sprit and observed form. These networks of influence proved to be circular, and a number of 20th century American makers like Asa Cheffetz and Margaret Jordan Patterson (both of whom are represented in the show) worked in woodblock or wood engraving and their techniques reference Japanese prints. In addition to generating new discussions about the intersection of science and art, this exhibition will encourage consideration of east-west networks of exchange and influence. What can you tell us about symbolism and flowers, especially using an example from the exhibit? Flowers have different symbolic significance across cultures, and are rarely depicted or gifted without underlying meaning. The peony, as represented in Hiroshige’s Peacock and Peonies, is a favorite flower in Chinese and Japanese cultures and represents good fortune. It is also associated with summer, whereas the plum blossom, for example, is a flower associated with spring. Do you have a favorite piece of art from this collection? This is a very difficult question! A small print of a butterfly landing on a clover by the American wood engraver Asa Cheffetz is dear to my heart, as are the spectacular woodblock prints by Hiroshige. Did you know that looking at a flower can make you happier and reduce stress? I did not know that, but I believe it! I love having freshly cut flowers in my kitchen.